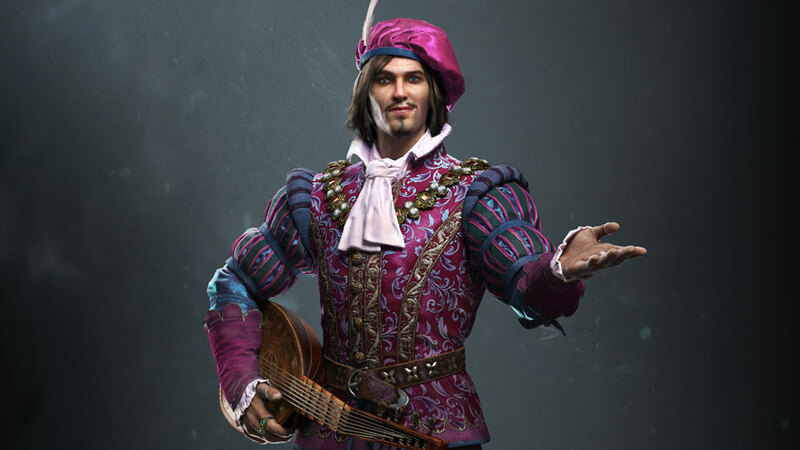 Cabaret is one of two misisons in which The Witcher 3 players fulfil requests for Geralt’s best non-witcher mate, Dandelion. Cabaret is available anytime after Poet Under Pressure, the final quest of Act One: Novigrad, when Dandelion has returned to the city to take up residence in the Thyme and Rosemary. The bard has elected to transform the one-time brothel into a reputable cabaret as a vehicle for his talented paramour, Priscilla. Speak to him in the common room of the inn to kick off this quest, which is best conducted in the early evening. Geralt can offer to bankroll Dandelion but he intends to raise the necessary coin on his own – with your help, of course. Head to the theatre, which is located nearby, and go backstage to borrow a prop sword from your old pal Irina. With the sword at hand, and meet Dandelion at the waypoint, equipping the prop sword when you get close. You may need to meditate if it’s not nightfall. When the time comes, you’ll find yourself embroiled in a battle; the idea is to let Dandelion smack you, and he’ll complain if you don’t. Just let him beat you up a little. When prompted, you can improvise or follow Dandelion’s script. It’s funnier if you comply. When your part is complete be sure to unequip the prop sword, then return to the Rosemary and Thyme and speak with the renovators. You’ll be prompted to choose a style of decor, and there are no consequences to your choice, although both Dandelion and Priscilla prefer Theatrical to Boudoir. Priscilla sends you to look for Dandelion at the home of a choreographer. Head to the waypoint and search around the door when prompted; the key is under a bucket to the right. Inside, chat with Polly’s young man, who seems to be a bit of a shithead. You can either issue threats, eventually having to fistfight him, or let Dandelion’s eloquence end the situation diplomatically, which Polly prefers. Your next stop is a painter’s house; head over there to find two bandits seizing the man’s goods. Whether you choose to interfere or not you end up in a brawl; put them down to learn where to find the painter – the Vegelbud Estate. Save when you arrive at the Vegelbud Estate, in case you need to re-attempt an upcoming challenge. You’ll find Rautlec quite close to the stands. In conversation with him you can offer to pay his debt or win a horse race for him – the latter is obviously the cheaper option. You can also elect to do without the placards and just go back to Dandelion. Whichever option you choose, return to the Rosemary and Thyme for the opening of the Cabaret. Unfortunately things don’t go as planned, and you’ll feel the consequences of that in the next quest, Carnal Sins. Onwards to Carnal Sins, or back to Act Two: Novigrad secondary quests.